Online 3D marketplace CGTrader.com has launched two new options aimed at enabling 3D artists to cash in on the growing market for consumer 3D printing. 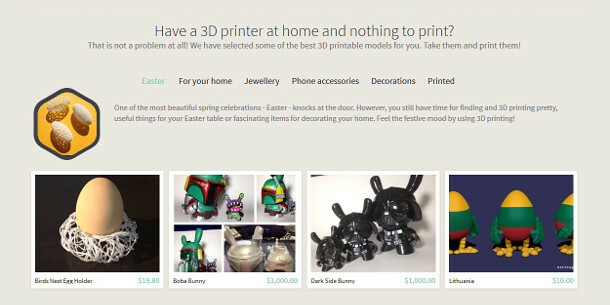 As well as selling their models outright, the site now enables users to sell them on a pay-per-print basis and get 80% of the purchase price, with the data being streamed directly to the buyer’s 3D printer. The service is powered by secured 3D licensing provider Authentise. Users can also opt to sell 3D prints directly and set their own mark-up on the base cost, with the printing and shipping handled by Sculpteo. Launched in 2011, CGTrader.com has a history of innovation in the model-selling market, including a core business model in which users buy credits to make sales, but keep 100% of the sale profits.